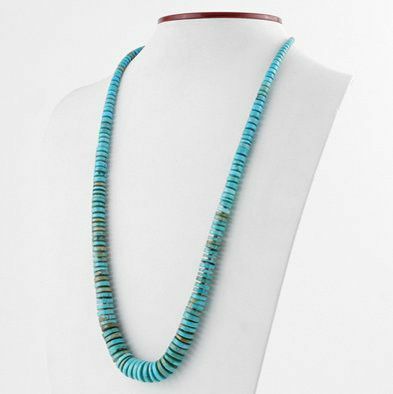 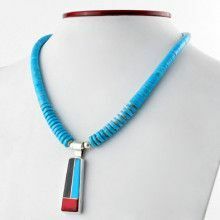 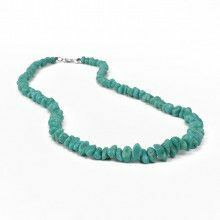 This fashionably long natural turquoise necklace features beautiful Heishi beads separated with tiny Spiny Oyster beads. 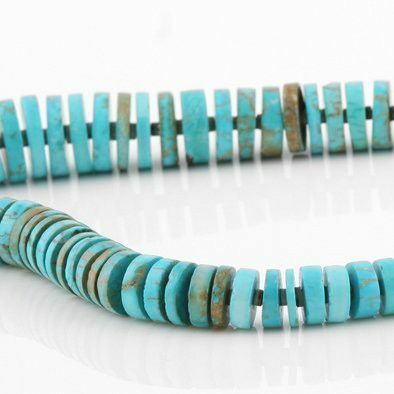 The genuine turquoise beads range from 1/8" in length to 5/8" long. 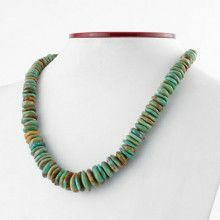 The necklace is one-of-a-kind, and measures 28" long. 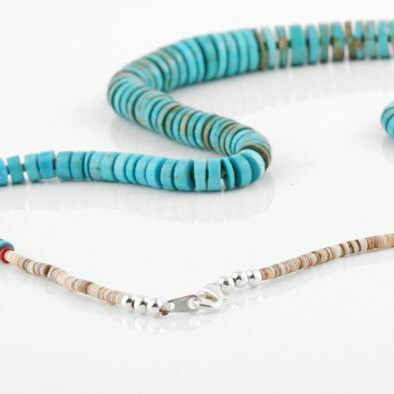 This necklace also has two red jasper beads, 6 sterling silver beads, and a sterling silver clasp. 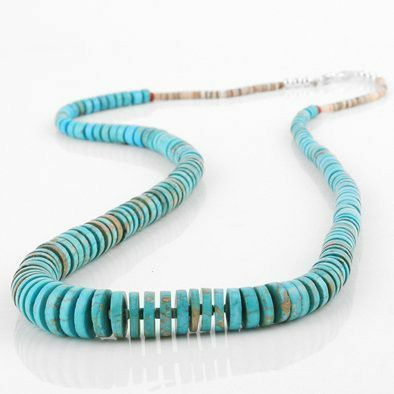 This vintage necklace has a few natural cracks.